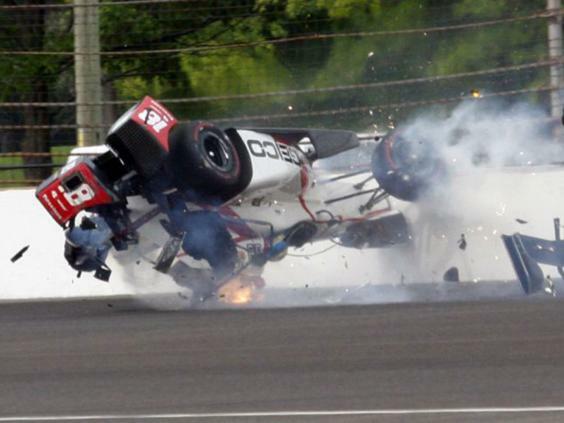 Four-time Champ Car champion and ex-Formula One driver Sebastien Bourdais suffered a fractured pelvis and hip in a frightening crash during qualifying for the Indy 500, in which he lost control of his car and hit the outside wall at over 230mph before flipping over and catching fire. 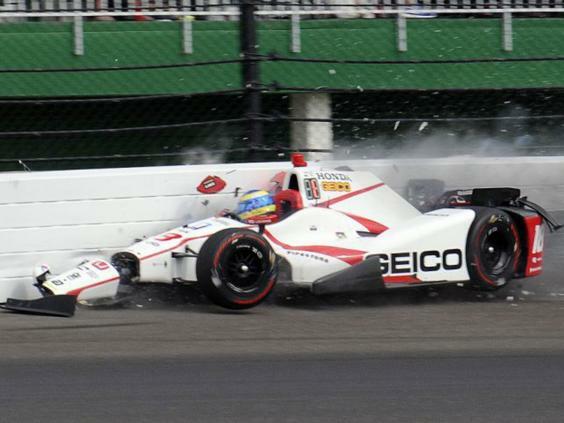 Bourdais was lucky to escape without life-threatening injuries in the accident, which happened on the third of his four qualifying laps as he negotiated turn two. The Frenchman was extracted from his Dale Coyne Raching cockpit and transported to hospital where his injuries were diagnosed, and he underwent surgery on Saturday night. 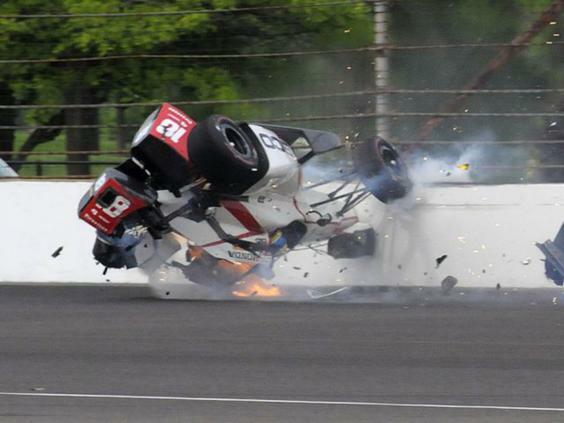 However, Bourdais did not lose consciousness during the accident. 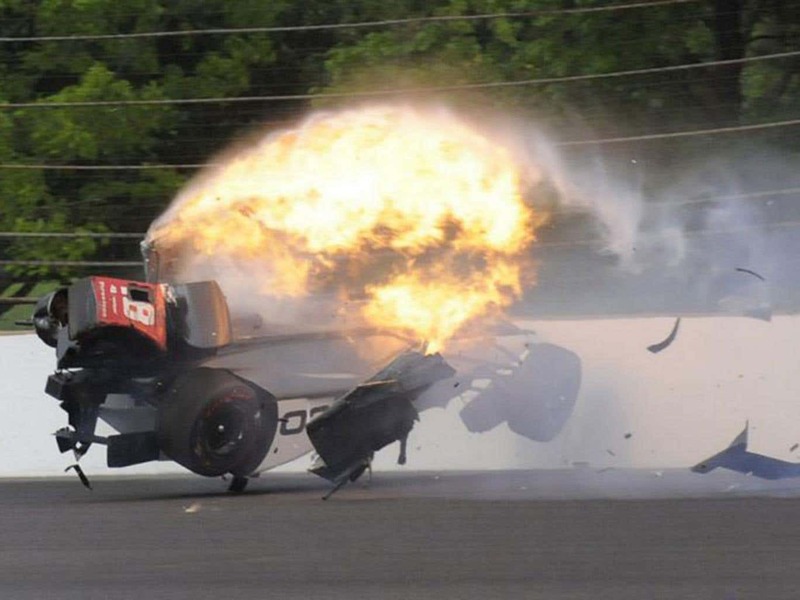 An IndyCar statement read: “Verizon IndyCar Series driver Sebastien Bourdais was diagnosed with multiple fractures to his pelvis and a fracture to his right hip following an incident today while attempting to qualify for the 101st Running of the Indianapolis 500 Mile Race. Bourdais is one of the most successful ever drivers in American racing, having won four Champ Car series titles between 2004 and 2007, before switching to Formula One in 2008 for a two-year stint with Toro Rosso. The 38-year-old has also been a regular at the Le Mans 24 Hours, having first competed in the French race in 1999, and he has a best overall finish of second three times in 2007, 2009 and 2011 with the factory-backed Peugeot team. 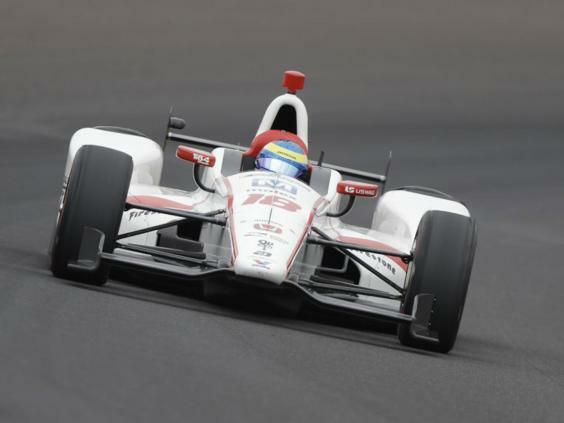 More recently, Bourdais has competed around his hometown track of Le Mans with the Ford Chip Ganassi Racing USA team.